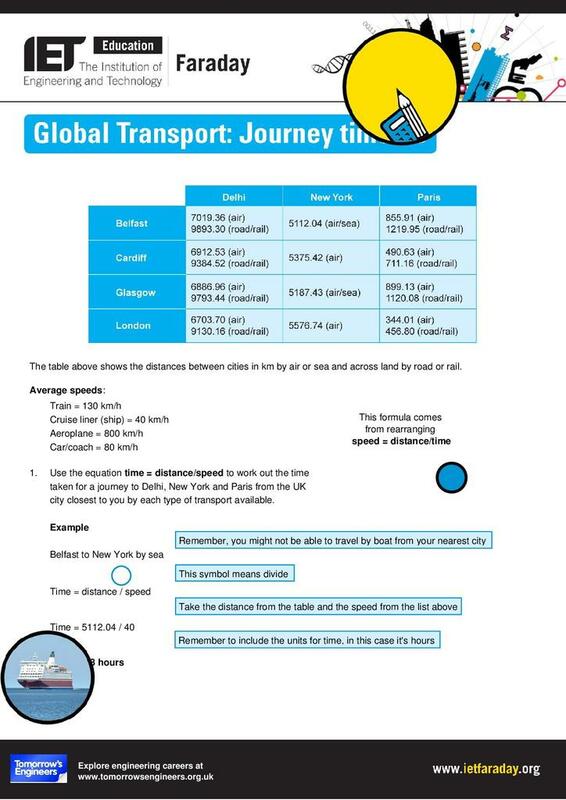 In this activity, students use the speed, distance, time equation to calculate how long it takes to travel to destinations around the globe from the UK via today's global transport options. They are then introduced to a new concept to global travel: the vacuum tube train - will this solve some of the problems they identified? This may be able to reach speeds of 4,000 mph, but is it a realistic option? Students consider future options for global transport, thinking about environmental, economic, ethical and social impacts of each type of transport. For example, comparing fuel efficiencies, impact for infrastructure on the environment and how polluting they are. 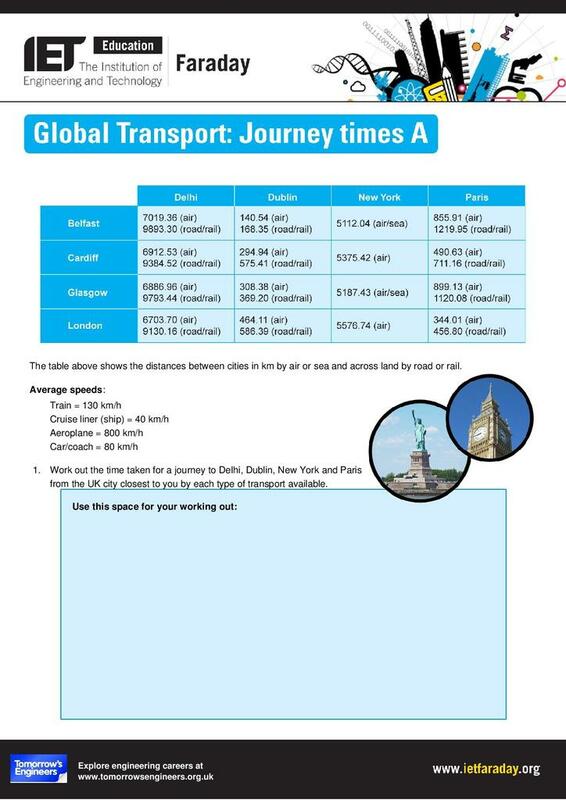 Other lessons and resources for this theme can be found in the Energy and Transport collection.